PT Kaltim Prima Coal - KPC is a well-knwon coal mining company in Indonesia. Based in Sangatta East Kalimantan, KPC has 90,938 hectares of coal mining concessions in Sangatta and Bengalon of East Kutai Regency at the East Kalimantan Province. KPC produces three grades of coal; Prima (high quality coal), Pinang (medium quality coal), and Melawan (lower quality coal). KPC is widely known nationwide as one of the largest coal mining companies in Indonesia with installed total annual production capacity of 50 million tonnes per year. KPC now has representative offices in Jakarta, Samarinda, and Balikpapan. KPC also supported by 5,200 employees and 21,500 personnel from contractors and associated companies. PT Kaltim Prima Coal is member of PT Bumi Resources Tbk (BUMI), one of the largest natural resources business group in Indonesia which focused primarily on coal mining industry. According to PT Bumi Resources Tbk Annual Report 2016 as cited by JobsCDC.com, PT Bumi Resources Tbk owns direct ownership in PT Kaltim Prima Coal. BUMI purchased 100% shares of PT Kaltim Prima Coal, after acquiring Sangatta Holdings Ltd and Kalimantan Coal Ltd. Bachelor Degree (S1) in Human Resource Management/Psychology/English Language/Communications or other related disciplines. Holds minimum 3 years or experience in relevant field..
Advanced knowledge of training management, adult learning principles, creative learning techniques, and the use of technology in learning. 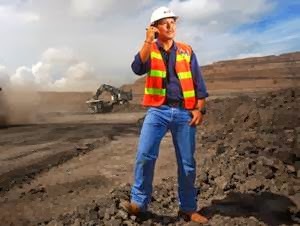 Extensive experience and proven skills in mine planning tools and field experience, or in associated high level long term planning roles. Required experience for minimum 3 years in relevant field. S1 in Chemistry, Chemical Engineering, Industrial Engineering, Electrical Engineering, Mechanical Engineering, or Physics. Required experience for minimum 3 years in Power Plant Operations. Required experience for minimum 3 years in construction project and/or bulk handling and/or mining environment. Technical senior High School (SMK) in Electrical or D3 in Electrical. Required experience in the related field for minimum 6 years for D3 or 10 years for SMK. Ability to work with a diverse team of professionals and equipment/plant operators. JobsCDC.com now available on android device. Download now on Google Play here. Please be aware of recruitment fraud. The entire stage of this selection process is free of charge. PT Kaltim Prima Coal - SMK, D3, S1 Engineer, Specialist, Supervisor KPC March 2018 will never ask for fees or upfront payments for any purposes during the recruitment process such as transportation and accommodation.